The venture capital (VC) business model, a major funder of tech industry growth, is a business finance model by which startups “raise piles of money from investors, and then use the cash to grow aggressively—faster than the competition, faster than regulators, faster than most normal businesses would consider sane,” writes Erin Griffith in the New York Times. In 2018, VC capital nationally raised $99.5 billion. A number of “unicorn” companies—that is, companies with values over $1 billion—have emerged through this process. Some famous ones include Facebook, Google, and Uber. But for every unicorn, countless others grow too fast, burn through the money, and die. Moreover, VC capital is distributed very unevenly. For example, a 2016 article in Inc. pointed out that women start companies at twice the rate of men, yet women CEOs get only 2.7 percent of VC funding. Women of color get 0.2 percent of VC funding. Zebras, mostly founded by women and people of color, favor quality over quantity, reward creation over consumption, and seek sustainable growth over quick exits. Zebras are about repair, not disruption… The Zebra network is committed to create a more just and responsible society. These companies will hear, help, and heal the customers and communities they serve. “The tool of venture capital is so specific to a tiny, tiny fraction of companies. We can’t let ourselves be fooled into thinking that’s the story of the future of American entrepreneurship,” says Zepeda. Zebra Unite members include startup founders, investors, and foundations dedicated to building a more ethical industry with greater gender and racial diversity. The group, Griffith reports, now has 40 chapters and 1,200 members around the world. A number of foundations have begun to back to the Zebra movement (and related organizations such as Brown and Black Founders, based in San Francisco.) 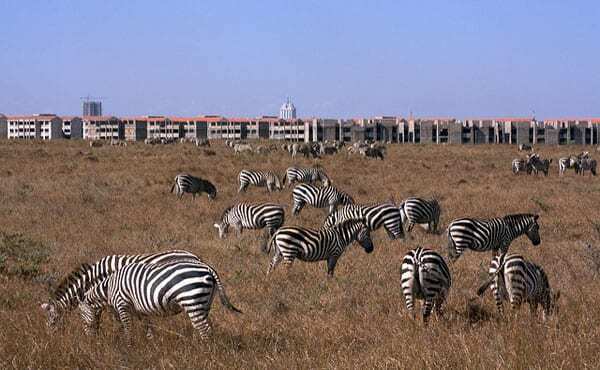 Among the foundations supported Zebras Unite are the Rockefeller Foundation, the MacArthur Foundation, and the Knight Foundation. This is still early days and the new growth models represent tiny numbers that do not come close to approaching the $99.5-billion venture capital market. Still, the idea of investing for smaller (but more consistent) returns in more sustainable companies embedded in values of racial and gender equity holds promise. Chicago’s YWCA seeks a new non-nonprofit model.